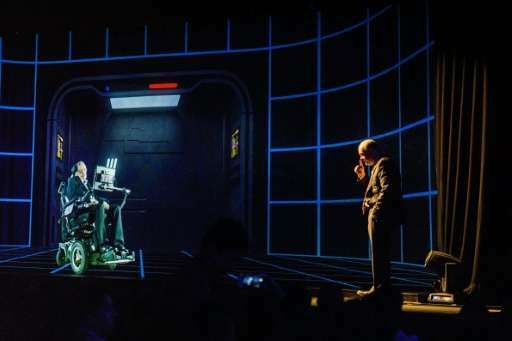 Renowned physicist Stephen Hawking has spoken to a Hong Kong audience by hologram, showcasing the growing reach of a technology which is making inroads into politics, entertainment and business. The British scientist appeared Friday before an audience of hundreds who cheered and snapped pictures with their phones as he discussed his career and answered questions about the possibility of life on other planets, the use of technology in education and the impact of Brexit on Britain. The 75-year-old said the election of US President Donald Trump was one in a string of "right-wing successes" that would have grave implications for the future of scientific innovation and discovery. "With Brexit and Trump... we are witnessing a global revolt against experts," he said, making his first appearance in Hong Kong since 2006. The swing to the right has come at a time when the world is facing multiple environmental crises, from global warming to deforestation, he added. "The answers to these problems will come from science and technology," he said. 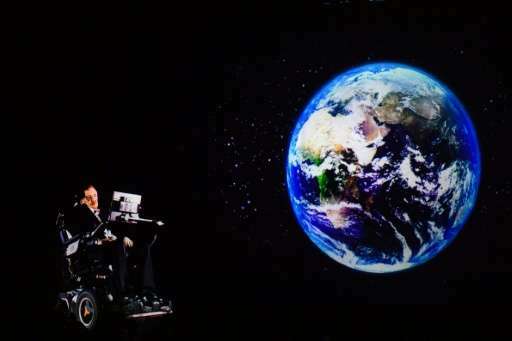 Hawking suffers from amyotrophic lateral sclerosis (ALS), a form of motor neurone disease that attacks the nerves controlling voluntary movement, leaving him paralysed and able to communicate only via a computer speech synthesiser. The event was organised by Chinese gaming company NetDragon Websoft, in partnership with ARHT Media, which creates digital human holograms of celebrities including spiritual guru Deepak Chopra, motivational speaker Tony Robbins and slain rapper The Notorious B.I.G.. The technology which allows a human being to appear and interact with audiences in multiple locations simultaneously is gradually expanding its presence. French far-left candidate Jean-Luc Melenchon appeared to supporters by hologram last month in a technological first for a presidential campaign in France.